Hackers and cyber attacks are a constant source of concern when it comes to keeping the data stored on your computer safe. You know how to protect yourself from viruses and ransomware, and how to follow internet safety tips, but what about protecting the computer itself? With small computers and lots stored on the cloud, it's easy to have either your machine or your data stolen, so make sure you take the following precautions. Although this might seem obvious, many people think since they live in a safe town, things like stolen computers don't happen - until they do. If a thief has trouble getting into your house, they may move on to an easier target with unlocked doors. Stolen computers can also result from an argument with a family member, friend, or roommate, so locking the door of the room where you store the computer when not in use could prevent unexpected loss from a formerly trusted acquaintance. A physical lock can be a great deterrent to a thief who just wants to grab your laptop and run or doesn't want to take the time to try to break a lock. Cable locks usually consist of a metal cable with a loop that attaches to an anchor point (something hard to move like a desk, wall, or floor) and then to a loop on the computer. It works much like a bike lock to secure the computer to something solid. Some products contain an adhesive anchor, which may not be as strong as a built-in anchor point but may still deter a thief in a hurry. You can also attach a lockdown plate to your computer with bolts and then to something solid, such as a heavy desk. Lockdown plates may also include a lock with a key you must use to remove the plate. It is very difficult to take a computer that is bolted down with a lockdown plate. Locking enclosures are another option that come in many sizes and can secure anything from a small PC tower up to a full system that consists of a tower, monitor, keyboard, mouse, and printer. You can use an enclosure with both a cable and lockdown plate in case someone takes the entire thing to try and open it later. Never let your computer remember passwords or supply one for you. Type in your password every time you log on to your computer so if someone takes your computer, they will not have unblocked access. Don't write down your passwords and keep them near the computer and don't leave your password blank; it is like leaving a key to the house hanging on the locked doorknob. You can also enable a password on your screen saver to provide double protection. Make it difficult for a thief to discover your password by being creative. Figure out something you will easily remember but that doesn't contain obvious words or dates, such as family or pet names and birthdays or addresses. Make sure it is at least eight characters or longer and uses a combination of upper and lowercase letters, numbers, and special characters (for example, !@#$%). A self-contained alarm attaches to a computer with adhesive and to a cord or cable. If someone tries to take the cable off while the alarm is armed, it sounds a loud alert to everyone in the vicinity. Some alarms sound for hours and can only be stopped with a special code. Thieves don't like to call attention to themselves, so they may generally avoid alarms or ditch the computer if it starts making a loud noise. A fingerprint lock plugs into a USB port on your computer, and you place your finger on it to gain access. You can authorize multiple fingerprints (useful for family computers) and configure some fingerprint locks to provide passwords for your different online accounts as well. Many laptops can send a signal through WiFi so you can track it if it goes missing. You can also purchase software or apps that alert authorities when your computer has been stolen. This may not work as well with a desktop, which stops sending WiFi signals when unplugged. If you connect to the internet, you should always run a firewall. A firewall can block outside communication if you haven't authorized it and even stop data from entering or leaving the computer without your permission. There are both hardware and software firewalls, and you can run both at the same time. Software firewalls often come as part of an operating system. For example, Windows includes one, and you should always have it on unless you decide to get your own. As with any software, you can shop around for a commercial firewall that is configured with the features that are most important to you. You can buy a hardware firewall as a stand-alone product, or they are also often included in broadband routers. A router is good to have as another layer of protection; your computer can sit behind it and make it even harder for hackers to get to it. Ensure you use a high-quality firewall and configure it properly by changing all default passwords. A screen guard lets you view your screen normally while making the screen appear blank from side angles. This is especially useful when working with sensitive information in public places, open office workplaces, and while traveling, so onlookers cannot read what is on your screen. 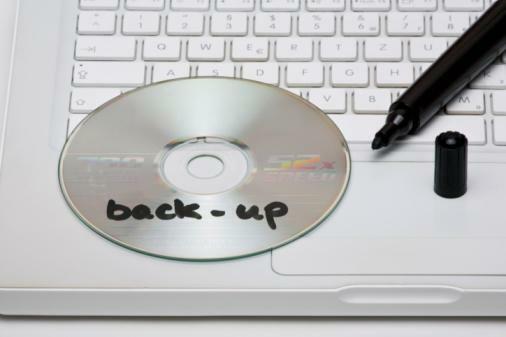 Backups may not sound like a way to keep your computer safe, but if something damages the computer or you have a security problem, you can quickly recover if you have a recent backup of all your data. Hard drives die, computers are stolen, accounts are compromised but if you have a backup, you can at least get all of your data back. Back up consistently and often so if you have a problem, your backup isn't out of date, and you won't lose months worth of data. There are many ways to perform a backup, such as both hardware (USB drives and external hard drives) and software (archiving and cloud). Keep backed up data in a secure location. Even though you may be the only one who uses your computer, don't continually log on using administrator rights. Use these rights only when you need to perform specific administrative tasks, such as maintenance. If you always run your computer in administrator mode, it may make it susceptible to security risks. Encryption scrambles the contents of files so only the person with the correct encryption key can decode it. If someone does manage to access your computer and the files are not encrypted, they can easily be read. Some USB drives automatically encrypt files during backups, and there are many encryption services and software available. Shut down your computer when you leave it unattended. A lot of people continually leave their computer on and remain logged in at all times. By turning the computer completely off, it cuts the internet connection, which may stop spyware and anything that uses your computer's resources to contact other users. More and more kids start using computers at earlier ages. Teach children not to use any toys with magnets around the computer. You may not think it will happen to you until your hard drive is wiped because of magnets that became attached to the back of the computer. Teach both children and adults not to eat or drink around the computer and to keep it clean. Liquids and crumbs can damage the keyboard and other hardware. If you must leave your laptop in a car, lock it in your trunk out of sight before you reach your destination. Try not to set a computer bag on the floor because it is easy to forget but if there is nowhere else to store it, place it between your feet where you can feel where it is at all times. Use nondescript bags or briefcases that do not show if there is a laptop inside. Anti-virus software was created to prevent viruses and malware from entering your computer system and to detect and remove them from systems that have already been infected. Always keep any type of software, especially virus protection, up to date. 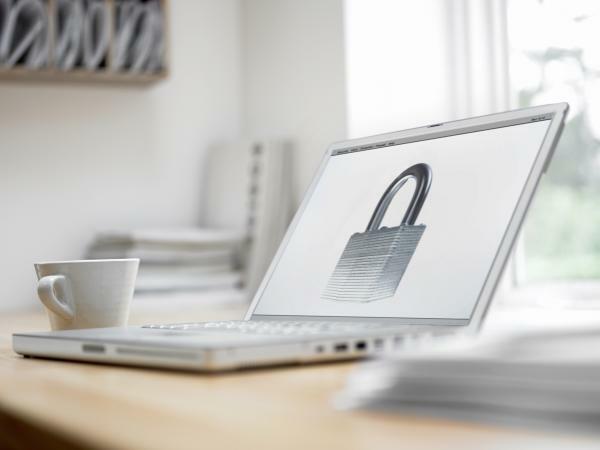 Ransomware and viruses are constantly changing the way in which they enter and attack your data, so software updates are continually released to protect against the latest type of threat. Patches, updates, and even upgrades are made to fix software and protect against new vulnerabilities, so make sure to install the latest to best protect your data. Anti-virus software is often included when you purchase your computer and there are many reliable brands, such as Norton and Avast. Many companies offer quality computer protection systems, such as Kensington or Tryten. 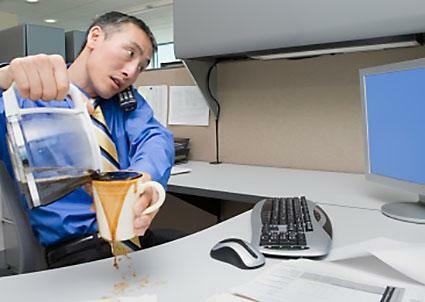 Thieves are always looking for opportunities so remember to never leave your computer alone - even for a minute to grab a coffee or go to the bathroom. The best practice of all is to use common sense and be vigilant to protect your computer at all times.